For over 45 years we have been developing and producing innovative technology for a successful calf rearing. From our 40FIT-feeding concept to automatic feeders and concentrate feeding – We offer optimal solutions for you and your calves. Förster-Technik has suitable products for each rearing phase: Whether in the first days after birth or during weaning, indiviual or group housing, we create best conditions for your calves to become high-performing dairy cows. The health-monitoring for calves! 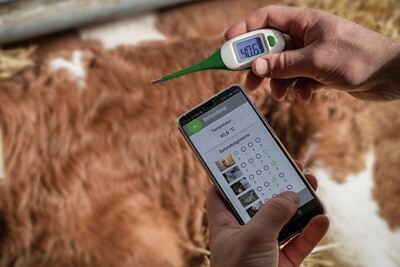 Measure, note and safe the health data of your calves fast and easily with our new Bluetooth-enabled "Smart Thermometer" and the "CalfApp - VITAL" from Förster-Technik. 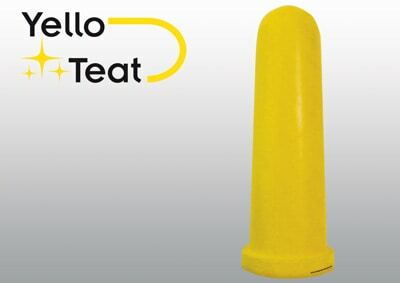 YelloTeat - A teat that can do more! Hygiene through and through - with the antibacterial "YelloTeat" the multiplication of germs is reduced by 99%! Let your calf barn shine - with the "YelloTeat" and radiantly healthy calves! Pumping milk to distances up to 100 meters or storing and cooling milk? No problem with the "Milk Collector" with its strong milk pump and the "Smart Tank" with its automatic cleaning! Our new products provide for better Milk Management. The year 2019 has a lot in store! This year we not only celebrate our "40 years in Engen (Germany)", but also the new construction of our production hall. With the ground-breaking ceremony on March 13th we want to continue to provide more space and capacity for new innovations in calf rearing! At the American Dairy Science Association on June 23rd and 26th in Cincinatti, Ohio Förster-Technik NA will be presenting many new products for calf rearing. We look forward to your visit! Our new product "Smart Thermometer" has not only been awarded the "Innovation Award Euro Tier 2018" in silver but also the prize "Innovation of the year 2019" in the category software.